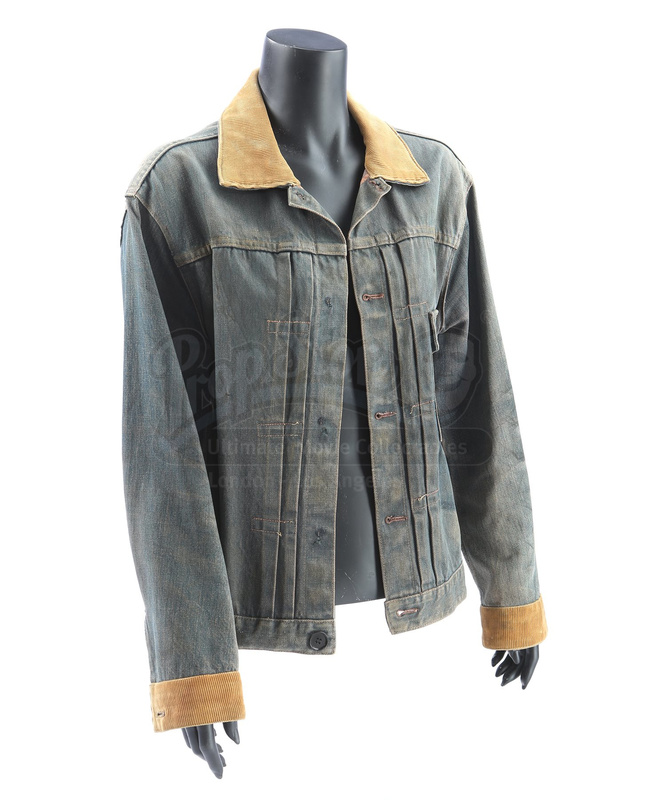 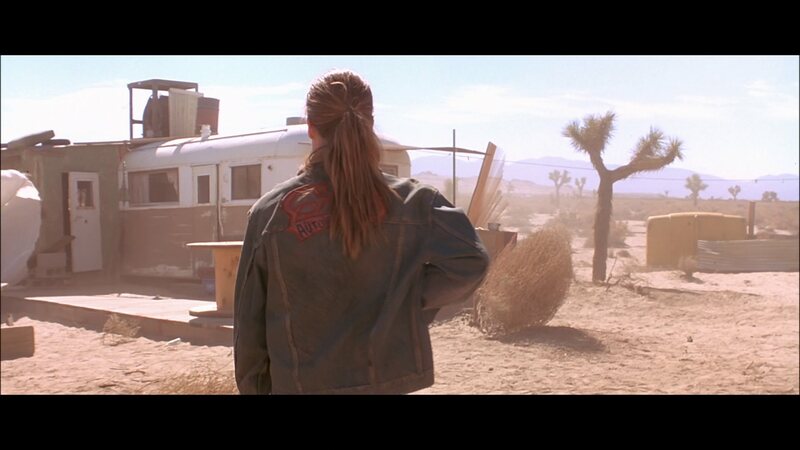 Sarah Connor’s (Linda Hamilton) jacket from James Cameron’s sci-fi action sequel Terminator 2: Judgment Day. 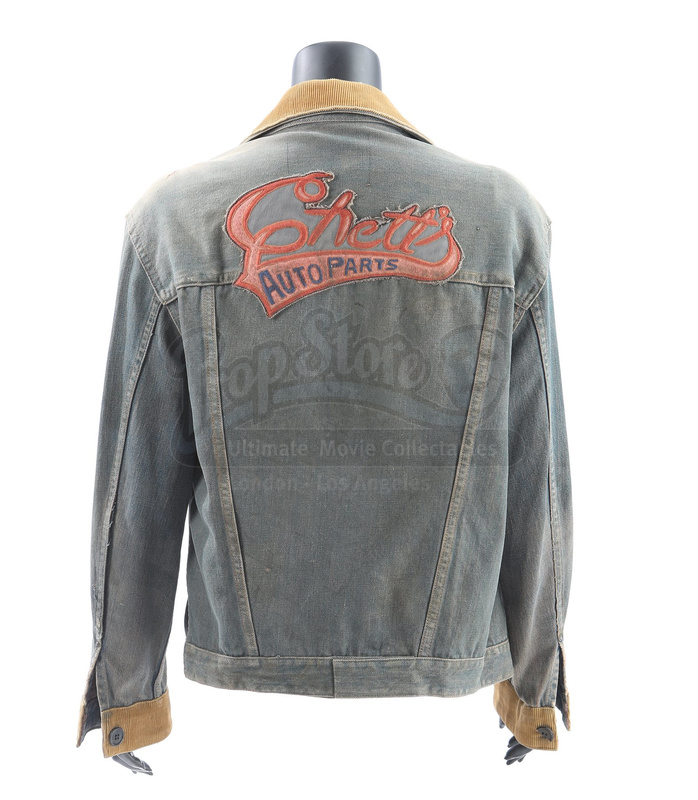 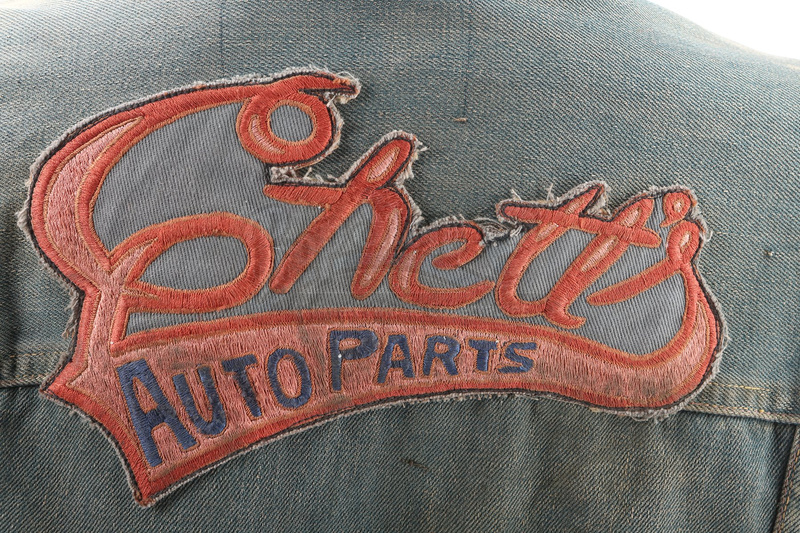 Sarah took this jacket from Chet’s Auto Shop, a temporary hideout, after being rescued from Pescadero State Hospital. 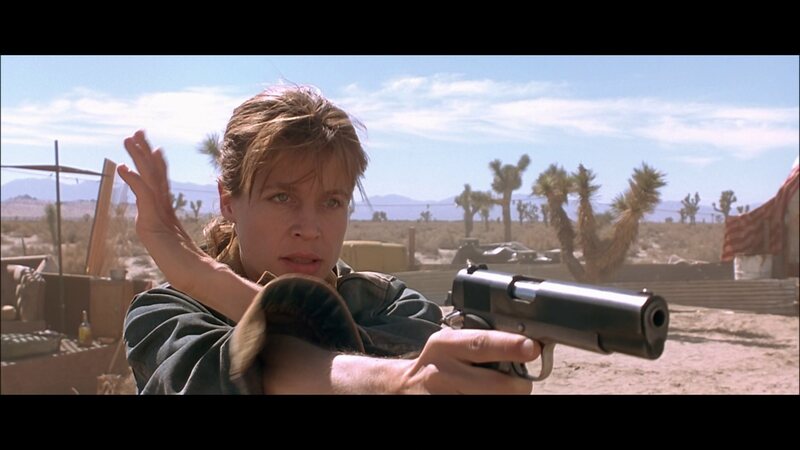 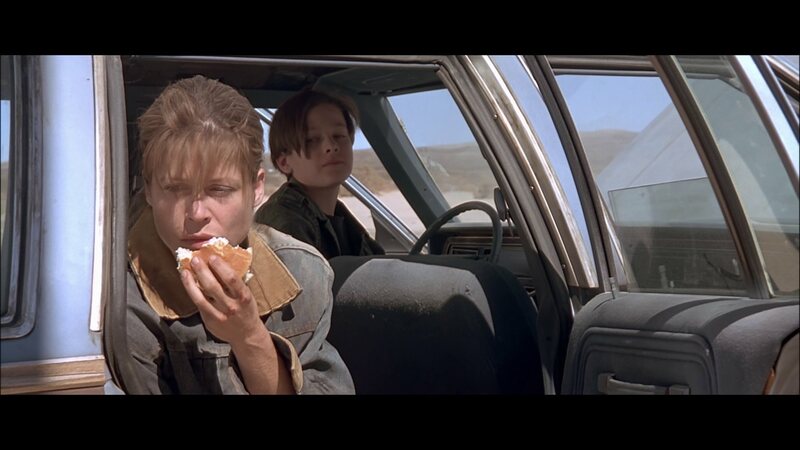 She also wore it later when she brought her son John (Edward Furlong) and the Terminator (Arnold Schwarzenegger) to retrieve her weapons stash from Enrique (Castulo Guerra). 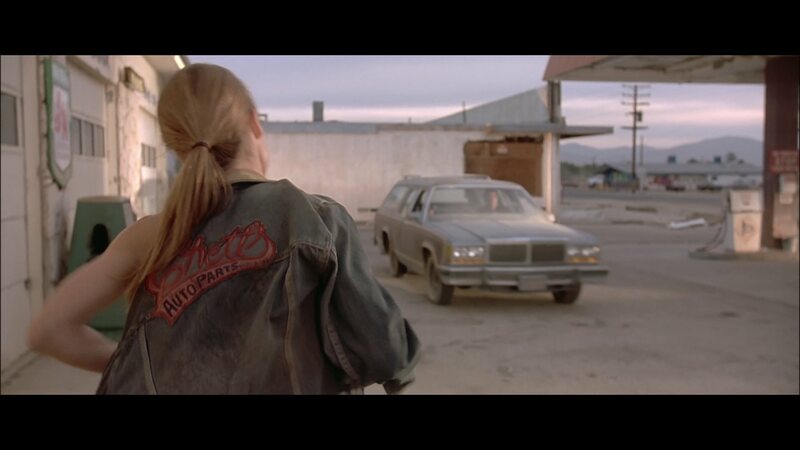 This jacket screen-matches to numerous scenes, including the one in which Sarah leaves Chet’s Auto Shop. 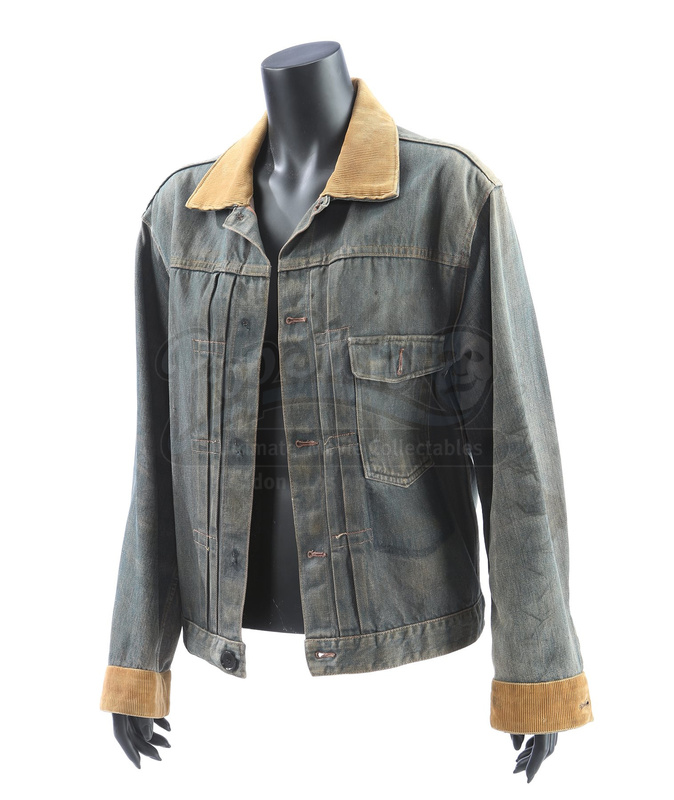 The jacket is made of faded blue denim, with tan corduroy collar and cuffs. 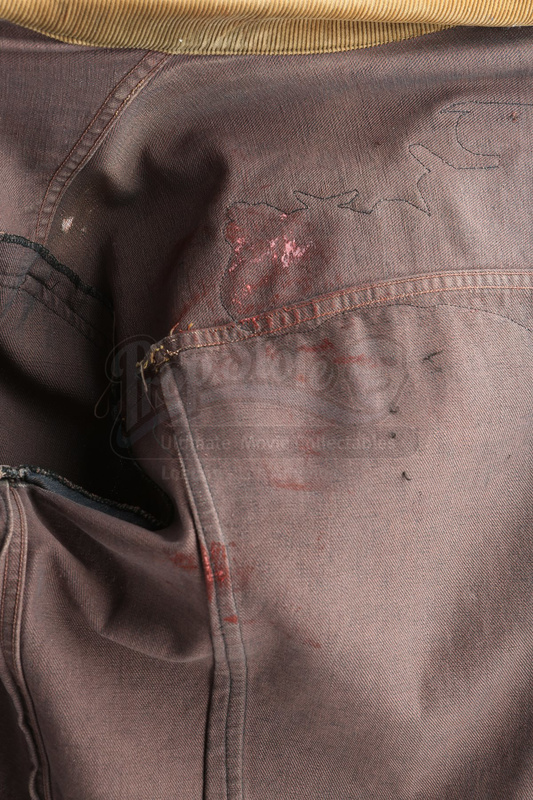 The interior of the jacket shows stage blood from Sarah’s injury, inflicted by the T-1000 (Robert Patrick) in an elevator. 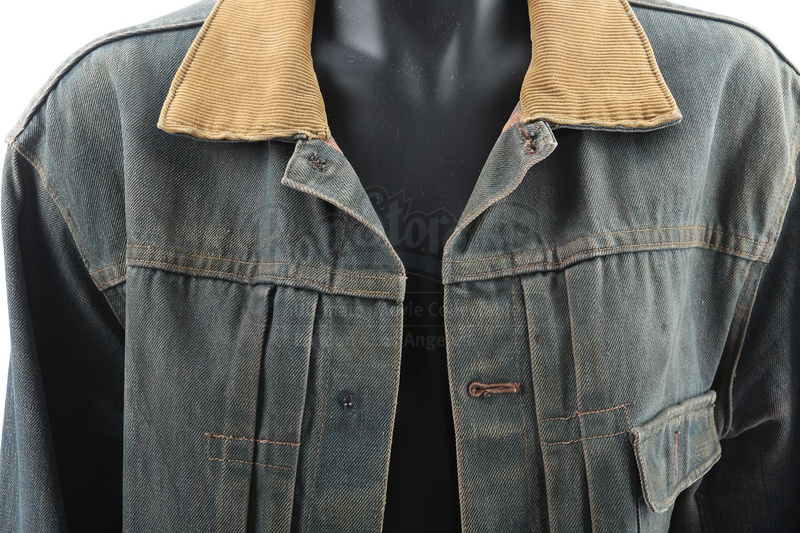 The jacket was modified for the production, with the most of the buttons removed, and heavy beads stitched inside the bottom-right front hem to weigh it down. 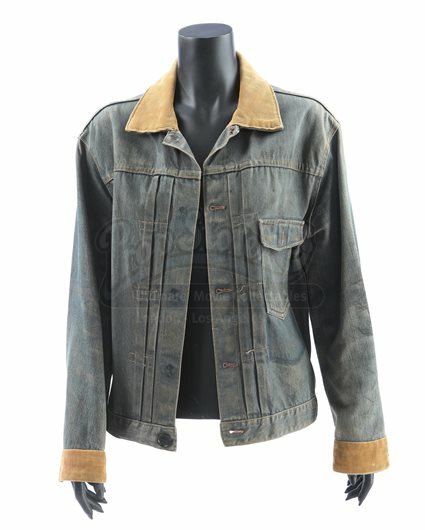 The item shows intentional distressing, but remains in very fine condition.